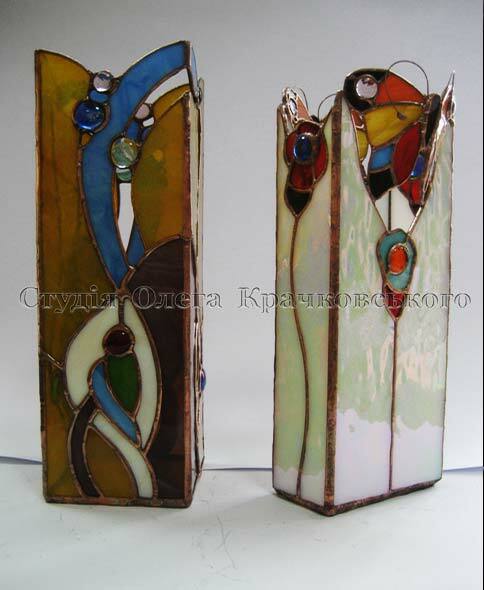 Oleh Krachkovskyi’s Studio of Artistic Glass was founded on June 1, 1998. 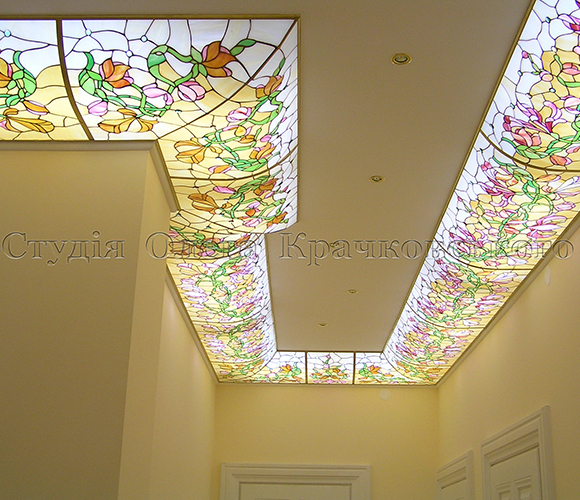 It designs the refined stained-glass windows for decoration the interiors of private houses, restaurants, hotels. 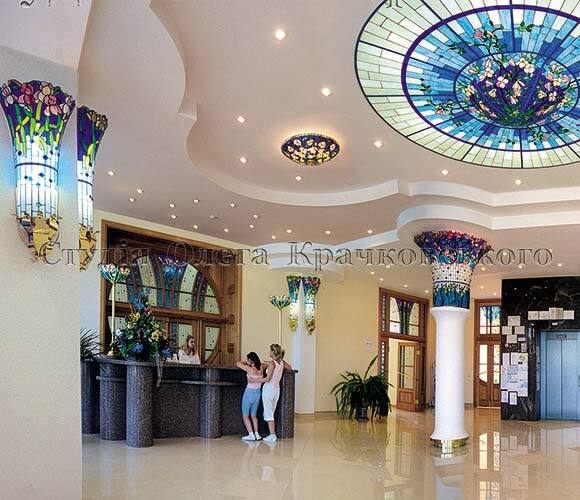 Studio offers an individual design and quality implementation of stained-glass floating ceilings, windows, doors and room partitions, furniture boards, columns and souvenir wares. 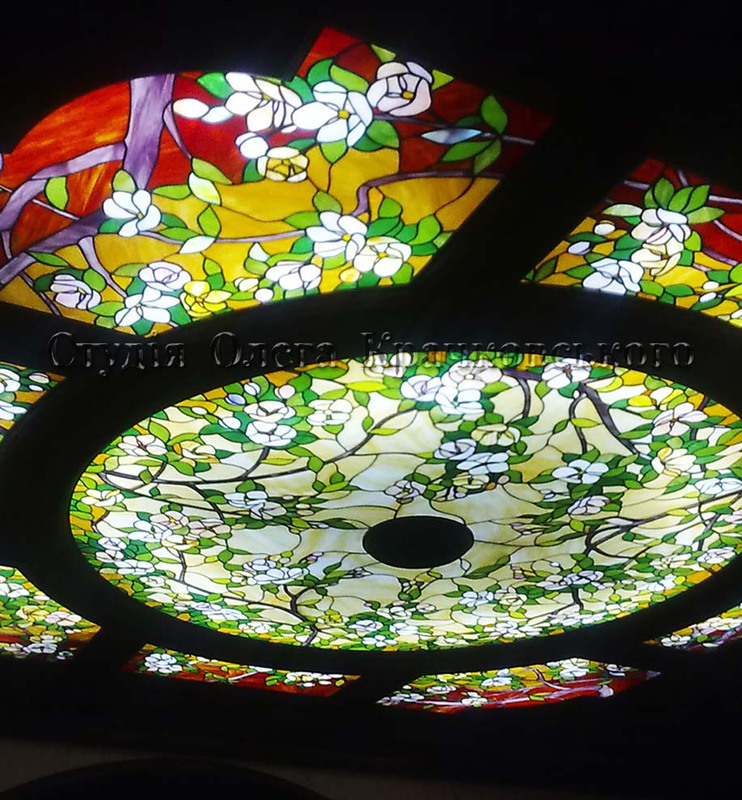 Perfectly crafted details of the stained-glass lighting fixtures like chandeliers, lamps, sconces, floor-lamps, floor vases are distinguished by performing architectonical spatial styling and skillful modulation of light and color. 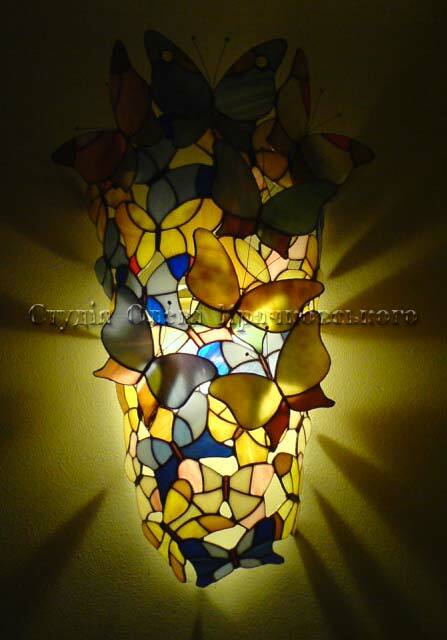 We execute stained-glass windows and crafts using the technique of "Tiffani". 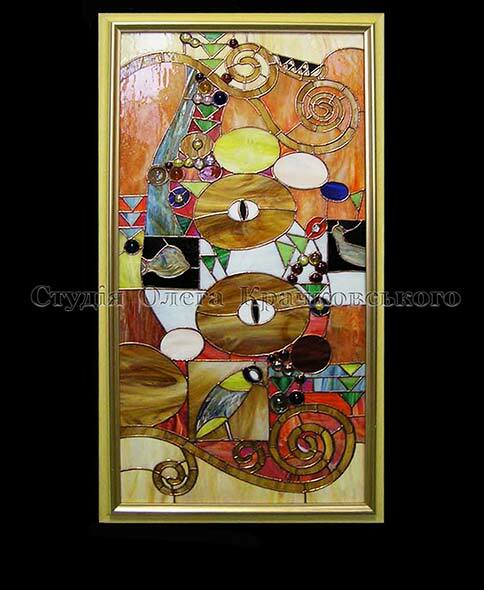 Using high-quality glass of firms "Wissmach, Kokomo", "Spectrum", "Youghioghehy", "Uroboros" we develop stained-glass articles on a brass, leaden support. 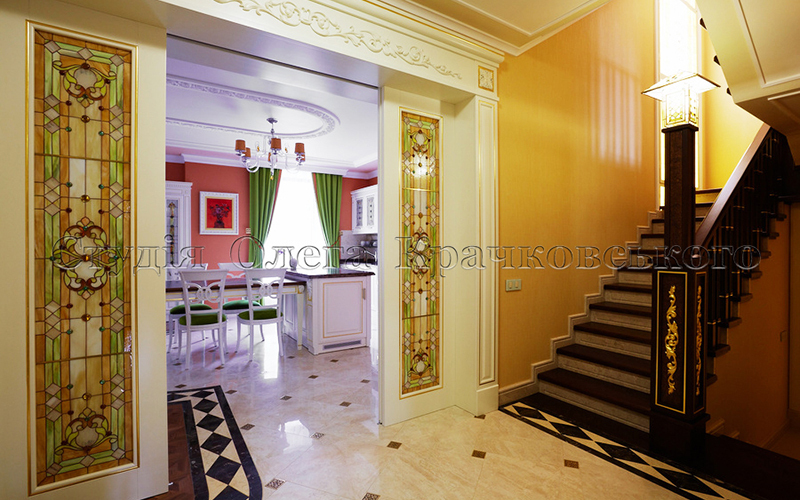 Our projects are based on the best designers and artists’ experience and on all necessary logistical support as well. 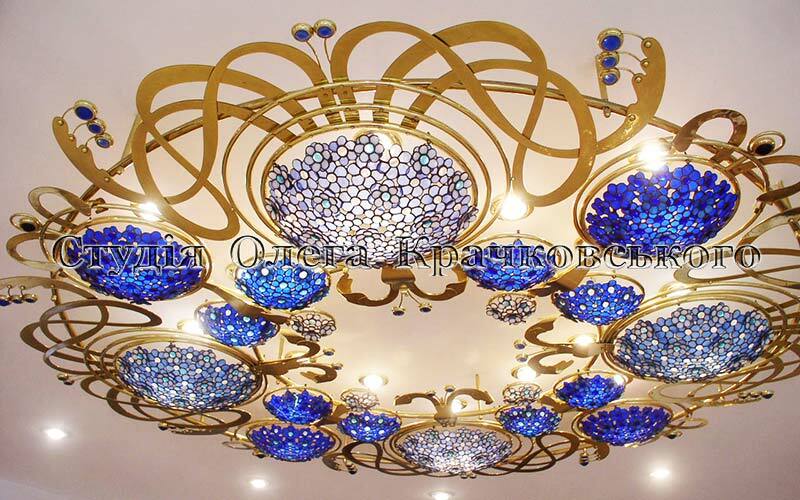 We can professionally manage with any artistic and technical task which appears during the process of creating exquisite interior. 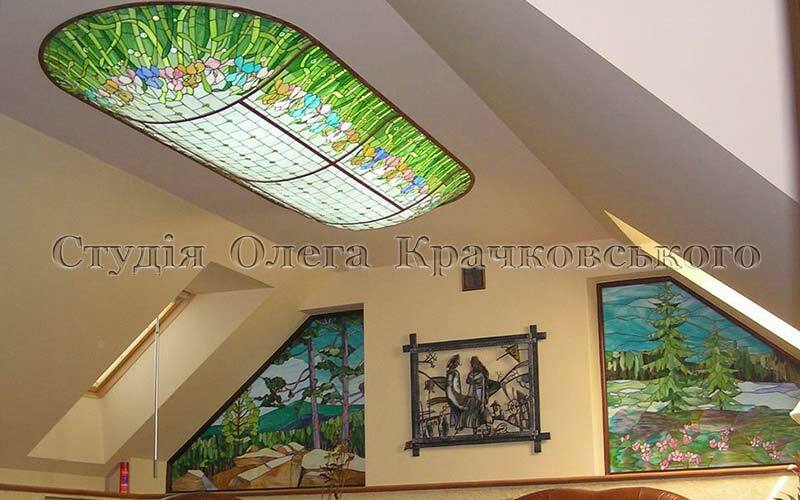 Oleg Krachkovskyi was awarded the State Prize of Ukraine in Architecture 2005 for designer development and implementation of interiors with the use of stained-glass compositions in the International clinic of rehabilitation treatment in Truskavets. 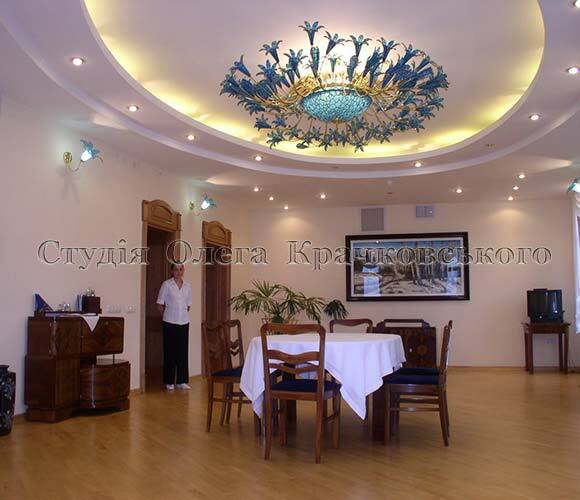 The conclusion of international expertise in design is: execution rate interiors - "High Fashion". 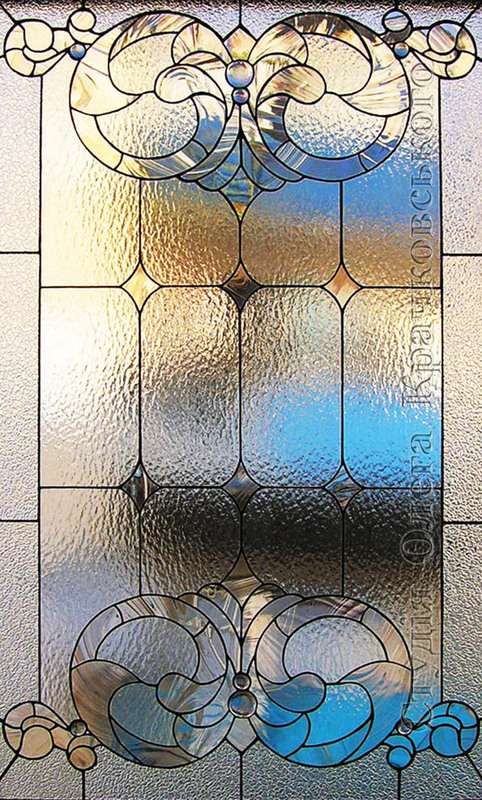 Stained-glass windows perform an elegant and extraordinary view of a standard window opening. 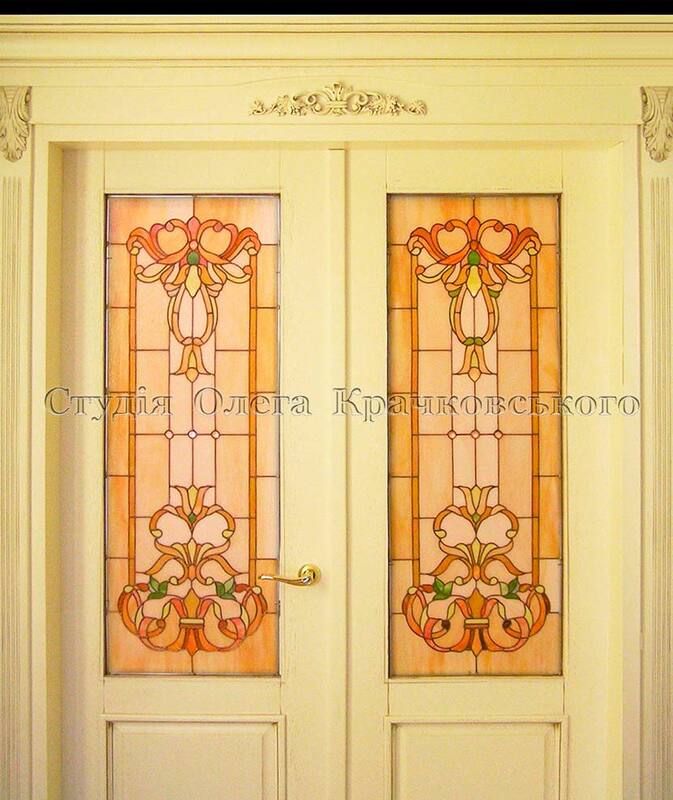 Nowadays not only the traditional technique of manufacture of window is known, the masters of stained glass art widely use such of them as classic stained-glass, Tiffany stained glass, faceted stained glass, fusing. 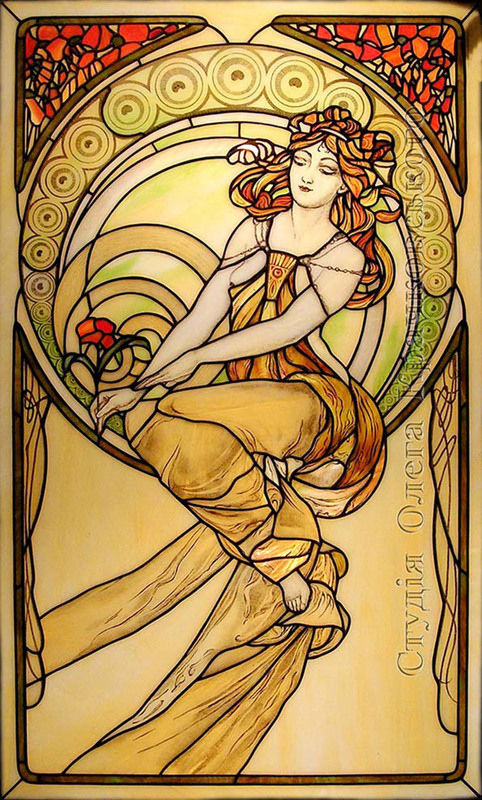 In virtue of the stained-glass panels, the door might be a bright and unique element of the interior. 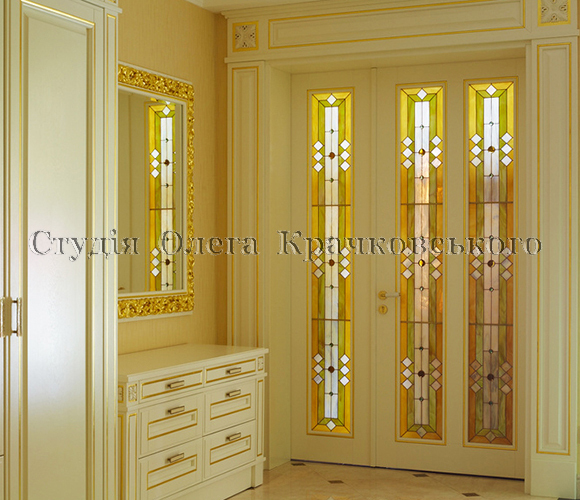 Today the doors with the stained-glass windows are becoming more popular. 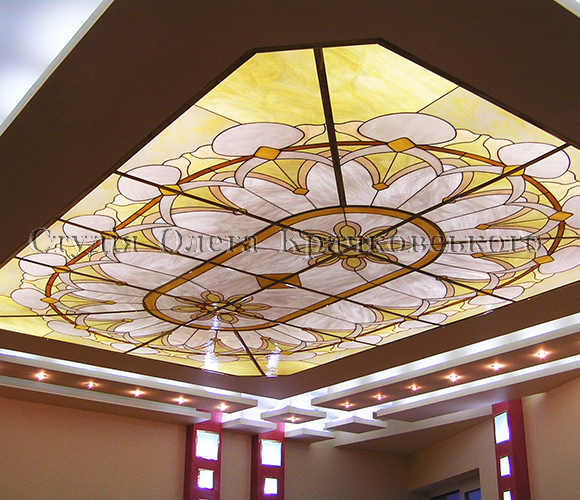 The main idea of the design is creating the unique pattern from glass for the ceiling surface. 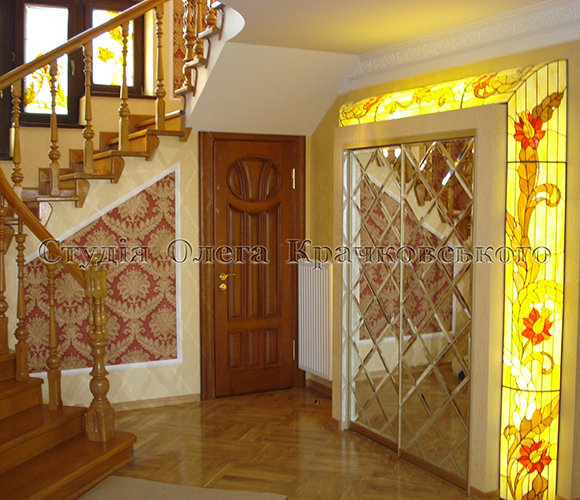 Stained-glass pattern is an original picture made of colorful stained glass or other materials. 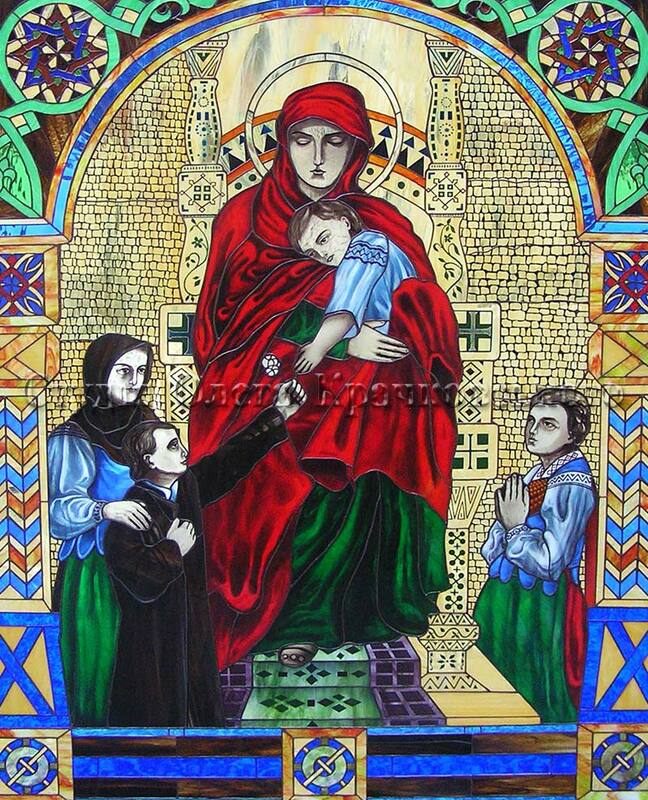 We also produce any stained-glass souvenirs and gifts. 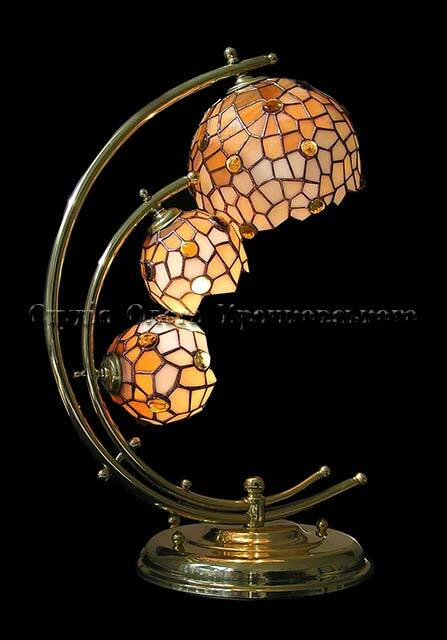 Even though stained-glass lamps are beautiful and various some samples are remarkably astonishing. 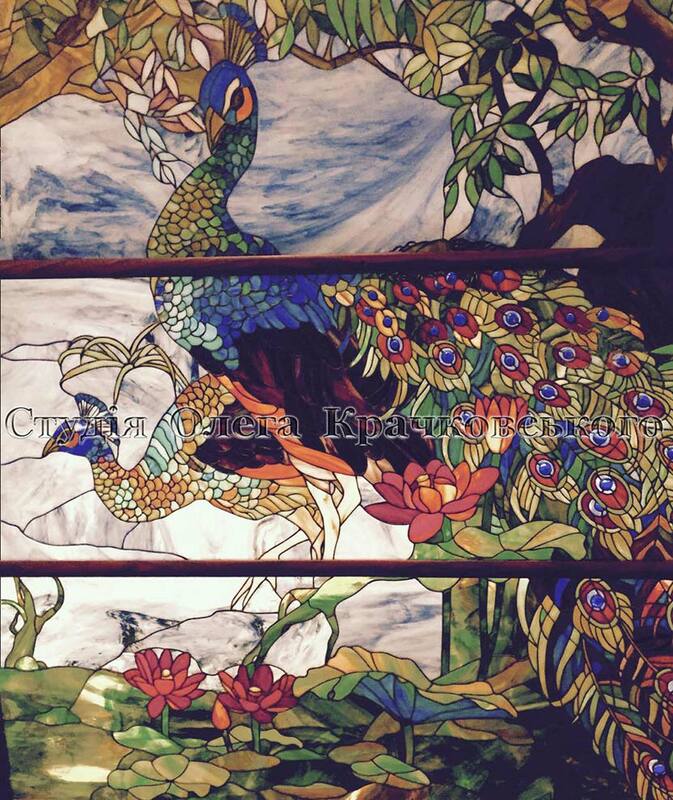 Sacral stained-glass is a unique mural made from high quality colourful stained-glass. 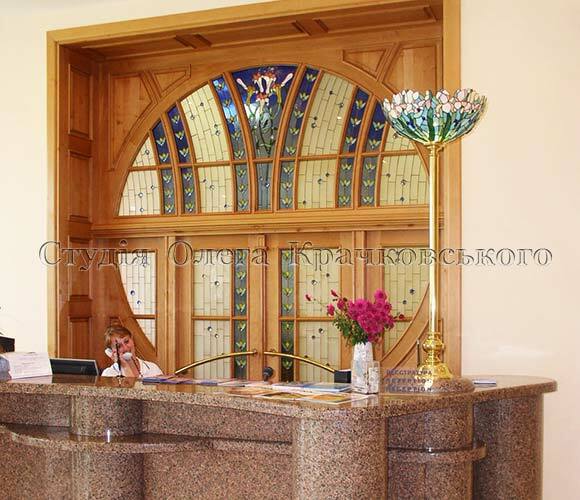 Studio offers an individual design and quality implementation of stained-glass floating ceilings, windows, doors and room partitions, furniture boards, columns and souvenir wares. You can reach us through this form, fill it in, please send us. 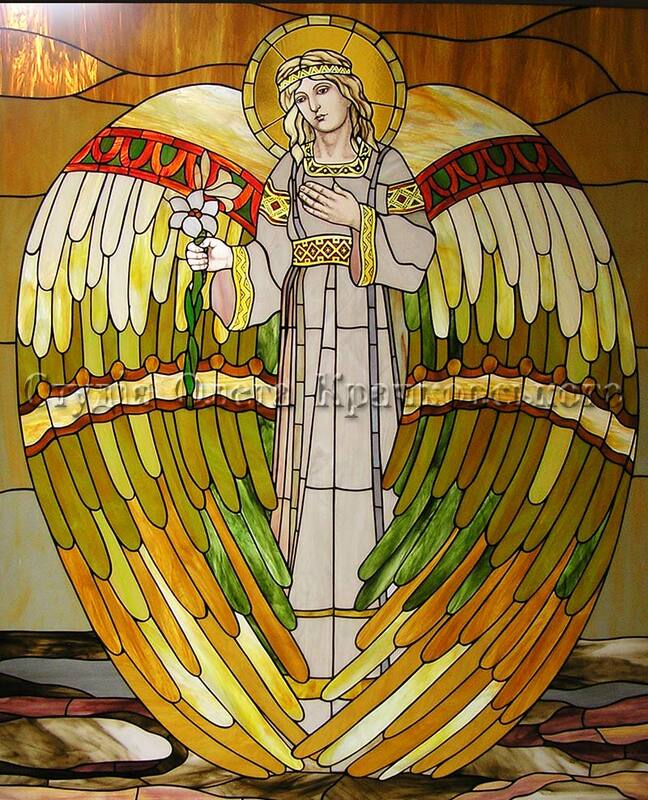 The cost of stained glass is formed individually and depends on its complexity, number of glass pieces, their shapes and sizes. 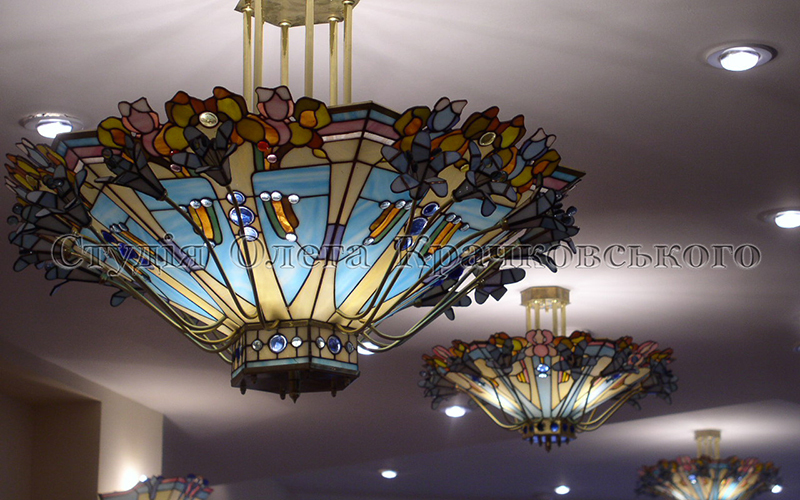 The price is also connected with the size and category of stained glass product, its composition. 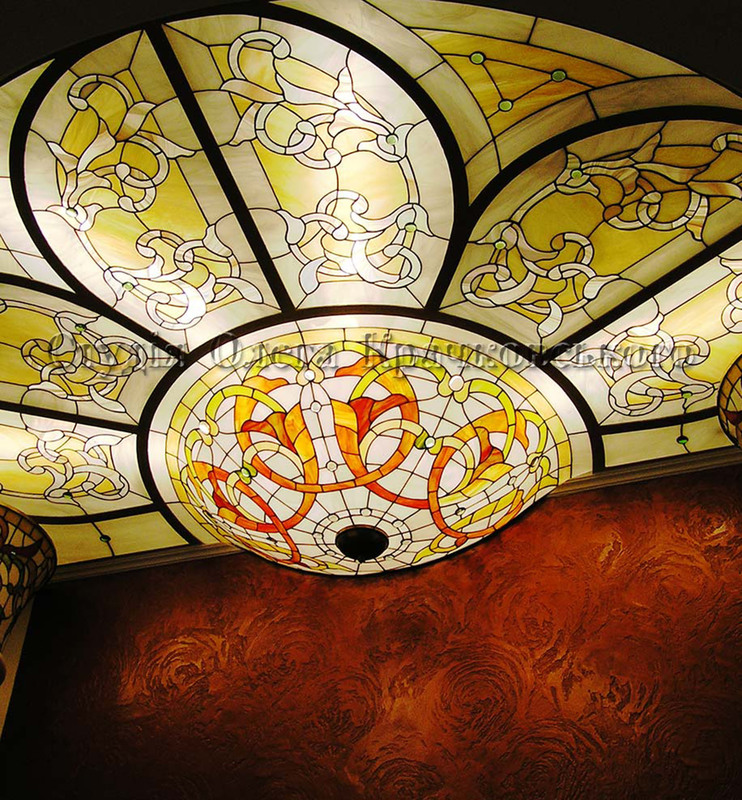 We provide design services, measurements and fitting. 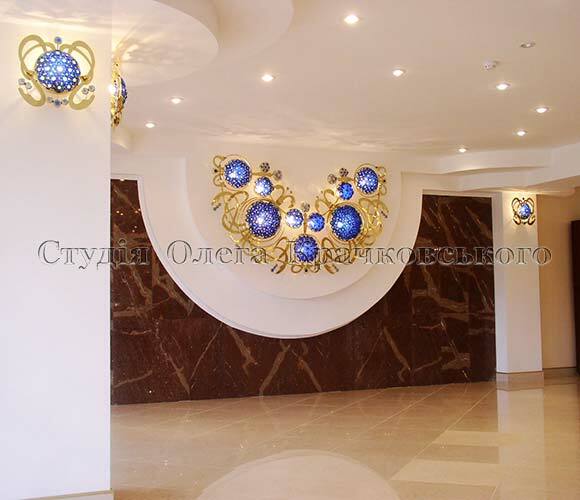 Our prices are from $ 400 for 1 m2. There is a discount for regular customers.